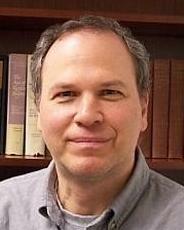 Jonathan R. Herman received his PhD from Harvard University in Chinese religion. 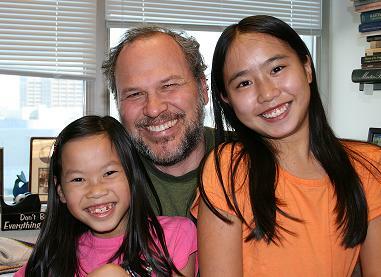 He is an associate professor and the Director of undergraduate studies in the religious studies department at Georgia State University, where he teaches courses in Asian religion, comparative mysticism, comparative festival calendars, and theory and method in the study of religion. He is the author of I and Tao: Martin Buber’s Encounter with Chuang Tzu (State University of New York Press, 1996) and several articles on Daoism and ecology, Confucian ethics, Chinese hermeneutics, and Judaism and Chinese religion. Herman is currently researching the theoretical and comparative implications of cases of appropriation (and/or misappropriation) of religious resources. He has been an officer in the Society for the Study of Chinese Religions since 1999, was cochair of the AAR Daoist Studies Group, and is currently a member of the AAR Committee on the Public Understanding of Religion. He is the father of two children attending public schools in Georgia. One of the most significant revelations in the “AAR Guidelines for Teaching about Religion in K –12 Public Schools in the United States” is the observation that religion, throughout the country and at all grade levels, is already a part of public education, especially in the various English and social studies curricula. So in some ways, it would seem that at least one part of our job — that of educating administrators, school boards, and parents of the importance of teaching about religion in intellectually responsible ways — may not be so difficult after all. Nevertheless, it should be noted that an underlying assumption about the need for “religion in school” also informs certain curricular initiatives being undertaken, or already in place, that run at distinctly cross-purposes with our goals. I stumbled across one particularly troubling aspect of this when I recently sat in on a public middle school mathematics class, in my adopted home state of Georgia. Needless to say, I was quite bewildered when I noticed that the words “respect for the creator” had been written on the blackboard. Evidently, this was not just a holdover from a civics debate in a previous class; as the instructor extolled the virtues of cross-multiplication and common denominators — writing and erasing, writing and erasing — those words stayed on the board for the duration. It turned out that this was not merely the action of one overzealous teacher going religiously rogue, but rather one component of a “comprehensive character education program” that was instituted in the Georgia public schools a little more than a decade ago. More specifically, in response to legislative mandate, the State Board of Education drafted a “Values and Character Implementation Guide,” which enumerated a “core list of values and character education concepts that should be taught in Georgia’s schools.” In the aftermath of this discovery, my unscientific research suggested that most people — including parents of school-age children — know very little about this curriculum and similar curricula in other states. This is echoed by the questionable opinion from the Georgia Attorney General’s Office: “It does not endorse any particular theory of creation, nor does it disparage those who do not hold a belief in creation.” Taking these statements at their word, we are expected to believe that the only reason why public educators should teach “respect for the creator” is to acknowledge “intrinsic worth” of the individual, and that doing so will not in any way violate those who do not hold certain theistic beliefs. In case anyone is thinking that values-based curricula (and the concomitant problems) might just be an anomaly, a “southern thing,” there is abundant evidence to the contrary. Fifteen years ago, the first Clinton administration established the “Partnerships in Character Education” grants, to be administered by the United States Department of Education. During the six years immediately after the project’s inception, forty-seven states and the District of Columbia had all sought federal funding for their own character education programs. And, as detailed in a fascinating study by University of Georgia professors of language and literacy education Peter Smagorinsky and Joel Taxel, these character curricula are not sui generis, but rather reflect the specific values and idiosyncrasies of the regions and constituencies that produced them. In particular, Smagorinsky and Taxel observe that character curricula from states in the Deep South are “based on an authoritarian conception of character in which young people are indoctrinated into the value system of presumably virtuous adults through didactic instruction,” while those from states in the Upper Midwest emphasize “attention to the whole environment in which character is developed and enacted and in which reflection on morality, rather than didactic instruction in a particular notion of character, is the primary instructional approach.” The former attach importance to manners, obedience, and hierarchical social structure; the latter to diversity, communitarianism, and social equality. And it is, of course, to the former that “respect for the creator” belongs. While one of the central themes of the “Guidelines for Teaching about Religion” is “the distinction between a devotional approach to religion and a non-devotional religious studies approach appropriate for public schools,” an unexpected impediment to bringing school systems on board is the reality that state-sponsored character education programs may have already embedded cultural, ideological, and religious preferences into their curricula. Moreover, even without the benefit (or distraction) of postmodern theorizing, it is far from given that teachers and administrators in their various communities will easily recognize the cultural and regional situatedness of their particular values, or of the inherent problems in crafting “universal” values. For evidence of this, one need look no further than the Colorado State Board of Education’s resolution to initiate “Colorado Character Education Day.” The document charges that “schools should provide instruction to students in core character qualities that transcend cultural, religious, and socioeconomic differences,” as if it were, in fact, an easy thing to identify, interpret, and enable such “core” qualities.